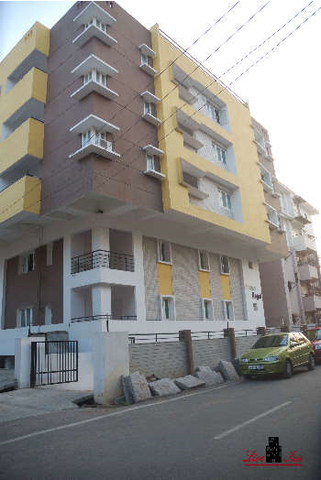 3 Bed Room Duplex Apartment300.0sqft. 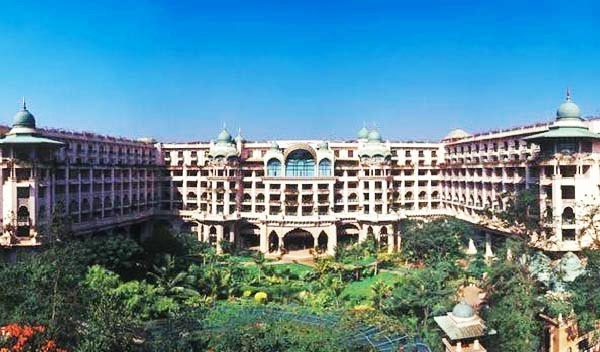 Live Inn Bangalore is one of the leading apartments in the city with majestic architecture, contemporary look and composed environment. 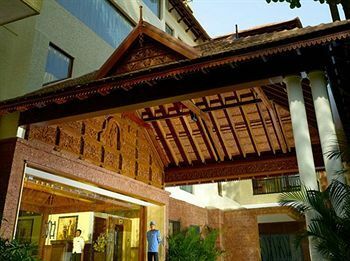 It is an ideal place for both business trip and a leisure and quality holiday. 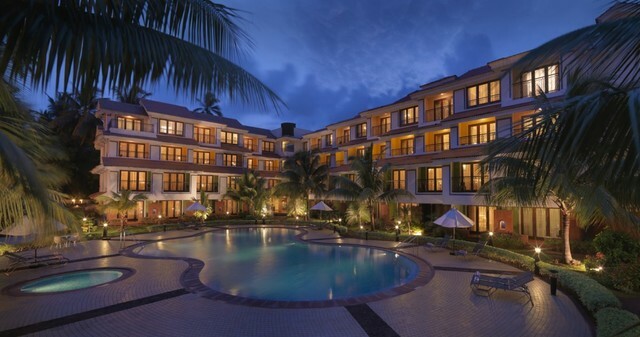 The infrastructure is beautifully decked up with stylish interiors and exteriors. 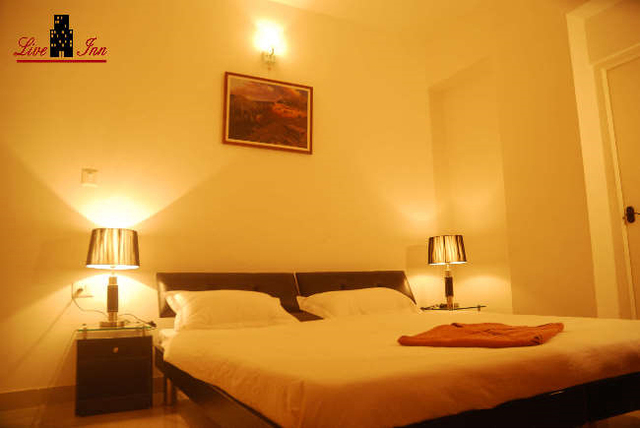 The accommodation is quite spacious, beautifully designed and offered with modern amenities and services. 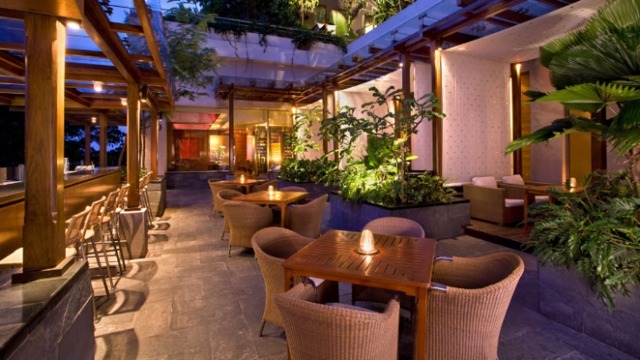 This property offers the fine art of hospitality fulfilling all the needs and desires of discerning corporate and leisure travelers. 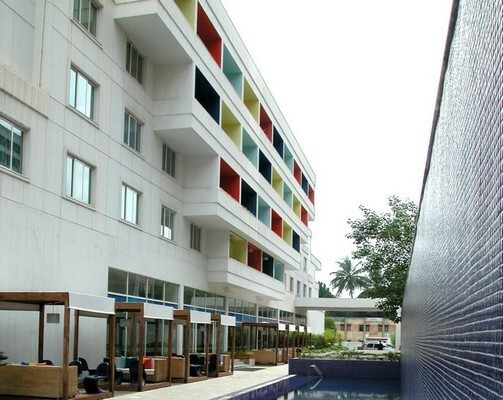 Live Inn Bangalore is expediently situated at a tactical location at Venkatareddy layout with close proximity to some interesting places like Aquarium (1.3 km), Attara Kacheri (9.5 km), Cubbon Park (9.5 km), ISKCON Temple (15.7 km), Lal Bagh Garden (7.9 km), Tipu's Palace (8.7 km), Venkatappa Art Gallery (8 km), Ulsoor Lake (9.8 km), Devanahalli Fort (121 km) and Halasuru Someshwara (7 km). 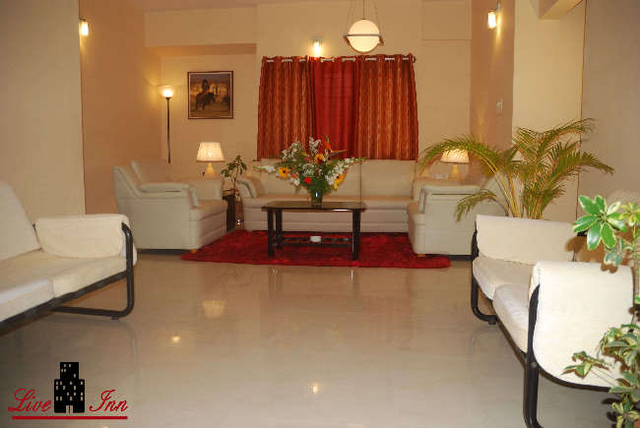 Live Inn offers astonishing facilities like full serviced kitchen, ample parking space and chef & pantry service. 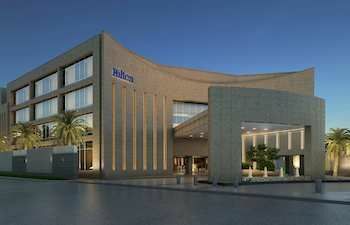 There is a state-of-the-art gymnasium where fitness lovers can continue with their routine exercises. 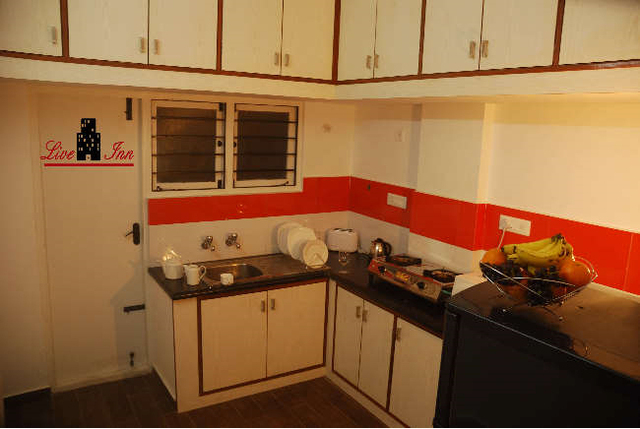 A full-serviced kitchen with chef and pantry service is established. Car hiring services are provided to the customers through a travel desk. 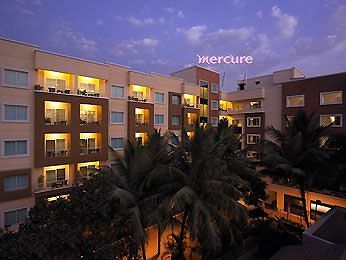 Clients can avail with 24 hour check in and checkout facility. Complimentary breakfast is served to the guests. A lounge is well-stocked with a fine selection of drinks. 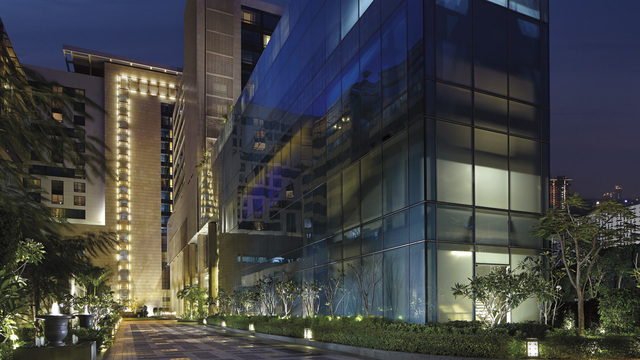 There is an ample parking space for conveniently parking the vehicles. 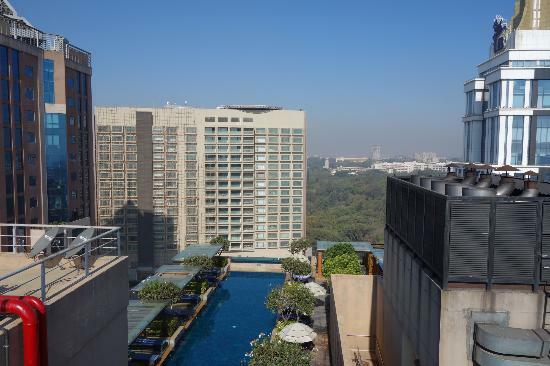 Other additional services include housekeeping, laundry & dry cleaning service, washing machines, 24 hour security, lift facility, power backup and newspaper service. 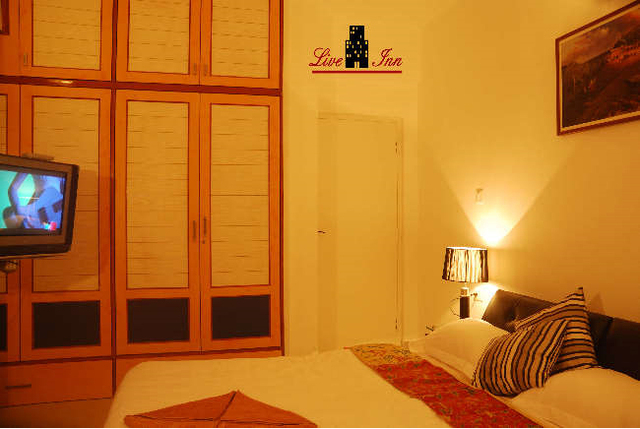 Live Inn has 16 elegantly furnished in rooms in four categories of Single Executive Room, 2 Bed Room Apartment, 3 Bed Room Apartment and 3 Bed Room Duplex Apartment. 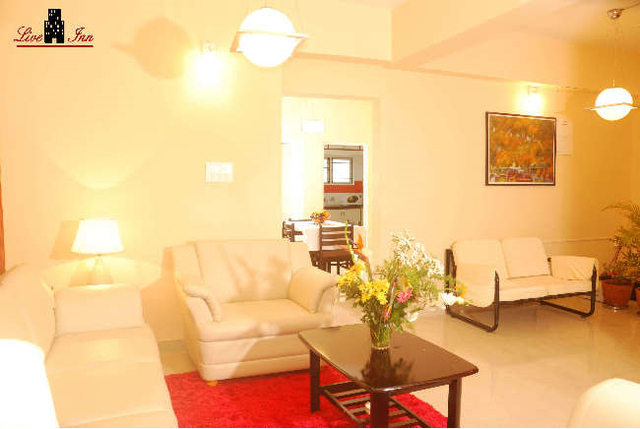 The rooms and apartments are pretty spacious and well-designed with trendy fittings and decor. They are fully air-conditioned and have attached western bathroom. 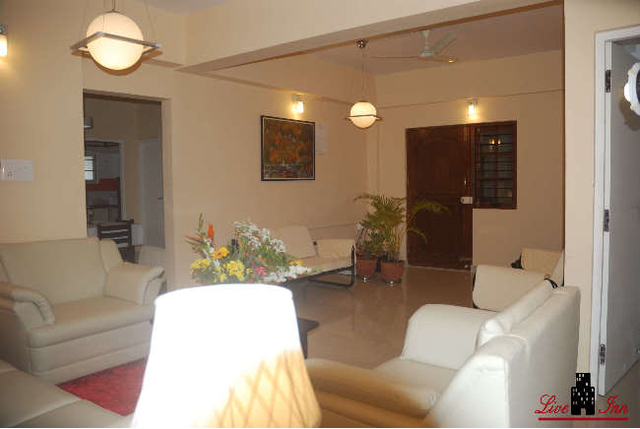 All the rooms and apartments are equipped with wardrobe, direct dialing telephone, cooking utensils, gas stove, refrigerator, microwave oven, cable television and DVD player. Wi-Fi connectivity is available in each apartment and room. 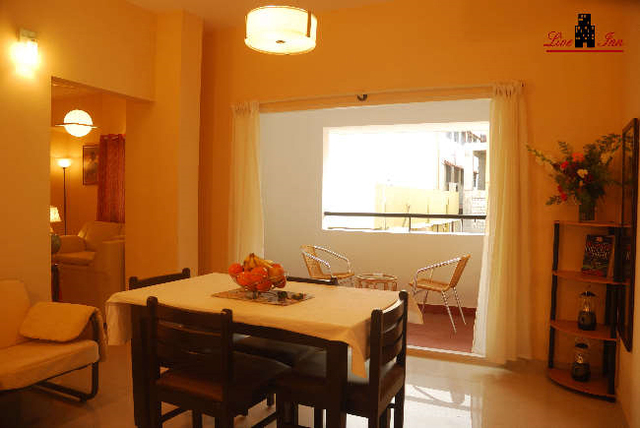 2 Bed Room Apartments have spacious living and kitchen with two AC Rooms. 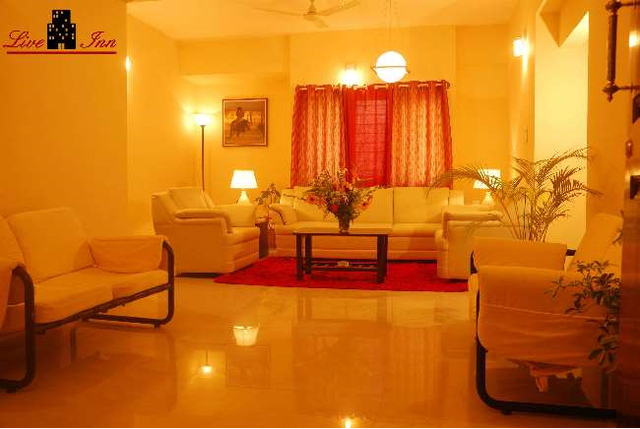 3 Bed Room Apartments are custom designed with dining hall, 3 AC rooms and equipped Kitchen. 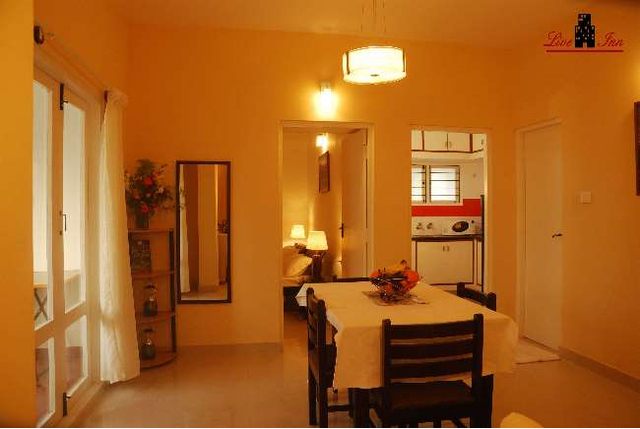 3 Bed Room Duplex Apartment are custom designed with dining hall, 3 AC rooms and equipped Kitchen and spacious balcony.